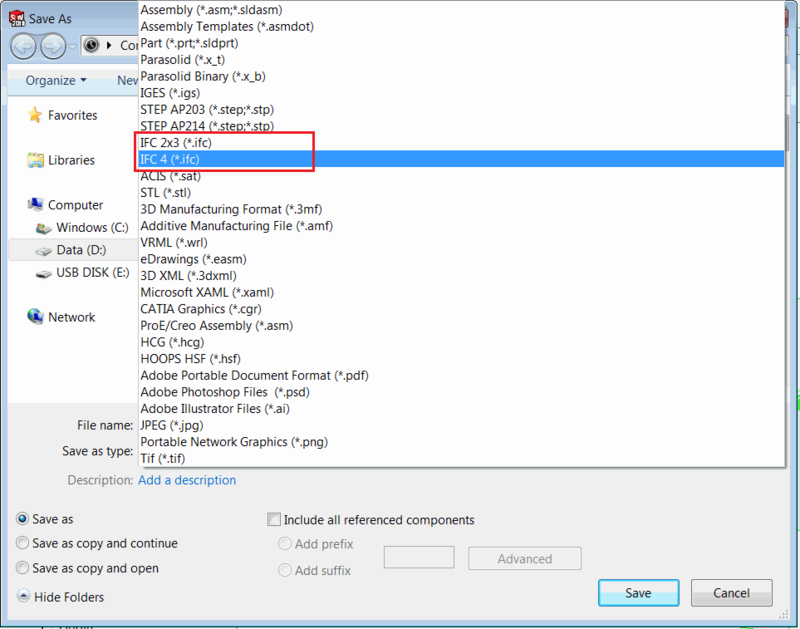 This example demonstrates how to export active assembly or part document into IFC format using SOLIDWORKS API. 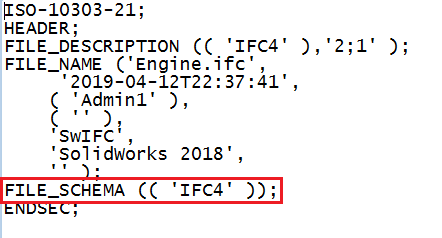 The schema can be validated in the output IFC file when opened in text editor. Const OUT_FILE_PATH As String = "C:\Output\Building.ifc"
Const OUT_FILE_PATH As String = "C:\Engine.ifc"